Share the post "Fibroid Treatment Los Angeles"
Fibroids can create excessive weight gain in women, particularly in the abdomen. Fibroids are benign tumors that can range in size from a pea to a small watermelon. When dieting doesn’t help and if the weight gain is accompanied by difficult menses or excessive bleeding…start thinking fibroids in Los Angeles. 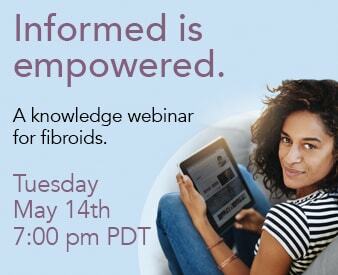 The Fibroid Treatment Collective can help. Located in Beverly Hills, The Fibroid Treatment Collective is a group of medical specialists dedicated to solving this problem without surgery. The Fibroid Treatment Collective pioneered a non-surgical treatment called Uterine Fibroid Embolization (UAE). Since 1994, when we introduced Uterine Fibroid Embolization to the United States, The Fibroid Treatment Collective has helped women back to health without the risks or long recovery time associated with traditional fibroid surgeries. Fibroids can distort the uterus, which can decrease fertility. Fibroids can take up space in the womb needed for a fetus to grow and develop normally. Fibroids often cause miscarriages, complicate deliveries, cause worrisome bleeding. Essentially, fibroids compete with the fetus for space and resources. None of this is good. If you are already pregnant, your OB/GYN will monitor your fibroids to the best of their ability. If you have fibroids and are thinking about having children, here are a few things you should know about treatment before you make any decisions. A Hysterectomy to remove fibroids will also remove your uterus. This ends any chance of a pregnancy. Surgical removal of fibroids (called Myomectomy) may scar your uterus, impairing its ability to successfully implant or nurture new life. Fibroid Embolization, a non-surgical treatment pioneered by The Fibroid Treatment Collective, reverses fibroid growth. Essentially it’s a ‘shrink instead of surgery’ approach. Fibroid  Embolization is an excellent option for women who desire to preserve their fertility. There is no trauma to the uterus. No cutting. No scarring. 50% of Fibroid Treatment Collective patients of childbearing age in the city of Los Angeles have been able to conceive and delivery successfully after this procedure. Click here to see patients who stopped fibroids and started a family after Embolization. If pregnancy is a priority for you, contact our office immediately at (866) 362-6463 and see if you are a candidate for Fibroid Embolization. The Fibroid Treatment Collective has several patients from the Los Angeles community. While we are unable to perform the Fibroid Embolization if you are currently pregnant, we can help minimize your fibroids after delivery. Why Fibroid Treatment Collective is special? The Fibroid Treatment Collective is unique in that we are a medical group solely devoted to fibroids with a special emphasis on Uterine Fibroid Embolization. We are responsible for thousands of successful treatments with this safe, non-surgical procedure. Who is Dr. Bruce McLucas? Dr. McLucas is a Yale educated OB-GYN who is also qualified to perform Uterine Artery Embolizations. He brought the first embolization in America to UCLA in 1994. Today he travels the world to teach doctors in other countries about the procedure and its benefits. The Fibroid Treatment Collective offers women a non-surgical way to remove fibroids without surgery in Torrance and the South Bay area.